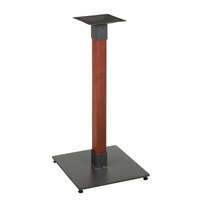 Give your dining area your own personal touch by choosing the right restaurant table bases for your business. 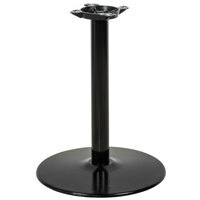 You can count on sturdy, attractive restaurant seating with our wide selection of pedestal table bases. We offer cross, round, and end T-shape styles that complement a variety of table tops. 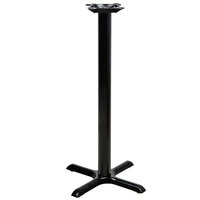 Many of our restaurant table bases are also bar height to better accommodate patrons at your drinking establishment. 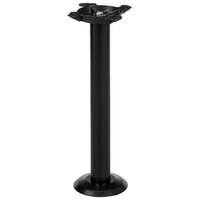 Choose from pedestal table bases with great features like metal foot rests and foot rungs to add an extra level of comfort for guests. We even have styles with an opening to insert an umbrella. 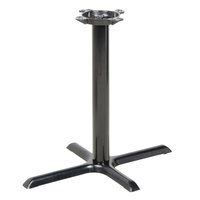 And, if you’re looking for a fresh, bold look, we have restaurant table bases in black, chrome, polished stainless, silver, and gray finishes to match the existing decor at your cafe, diner, bar, and other restaurant venue. 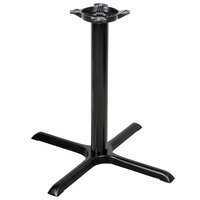 This Lancaster Table & Seating table base is an economical solution to your bar or restaurants needs. 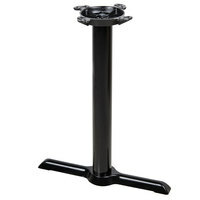 It includes everything that you need for a full base, including 4 self-leveling feet. 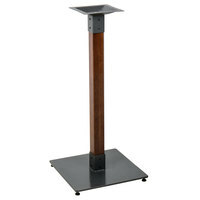 With the standard height column, it is the ideal base for restaurants or cafeterias. Featuring all components required for a full table base, this Lancaster Table & Seating base gives you everything you need. 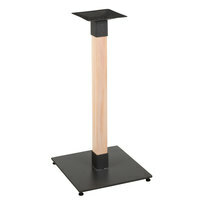 With a sleek black powder-coated finish, and cast iron base plate, this base delivers just as much style as function. 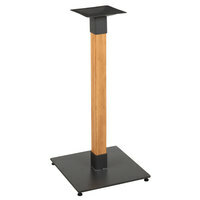 Plus, it comes with 4 FLAT Tech Equalizer table levelers. 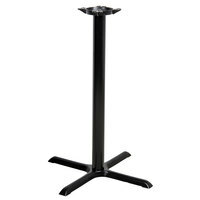 These levelers help keep tables balanced and can accommodate up to a 1/4" variance in floor levelness. 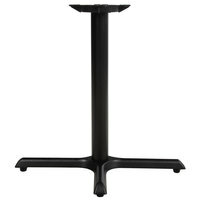 Say goodbye to customer complaints over wobbly tables with the FLAT Tech CT2020 auto adjustable table base set! With an all cast iron construction, this base has unmatched durability and provides the professional appearance you want in your establishment. This base boasts FLAT technology that automatically adjusts to uneven floors and aligns with adjacent tables through patented hydraulic technology. 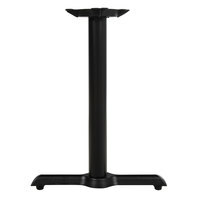 This eliminates uneven ridges when pulling multiple tables together for large parties. 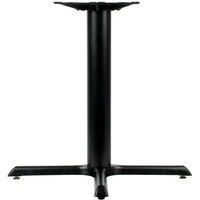 Say goodbye to customer complaints over wobbly tables with the FLAT Tech CT2006 auto adjustable table base set! 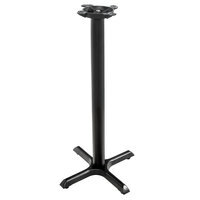 With an all cast iron construction, this base has unmatched durability and provides the professional appearance you want in your establishment. This base boasts FLAT technology that automatically adjusts to uneven floors and aligns with adjacent tables through patented hydraulic technology. This eliminates uneven ridges when pulling multiple tables together for large parties. 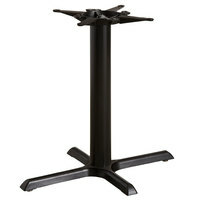 Say goodbye to customer complaints over wobbly tables with the FLAT Tech CT2007 auto adjustable table base set! With an all cast iron construction, this base has unmatched durability and provides the professional appearance you want in your establishment. This base boasts FLAT technology that automatically adjusts to uneven floors and aligns with adjacent tables through patented hydraulic technology. This eliminates uneven ridges when pulling multiple tables together for large parties. 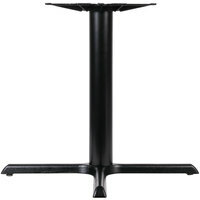 This Lancaster Table & Seating table base is an economical solution to your bar or restaurants needs. It includes everything that you need for a full base, including 4 self-leveling feet. 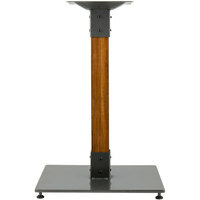 At 41" in height, it is the ideal base for bar-side or bistro tables. 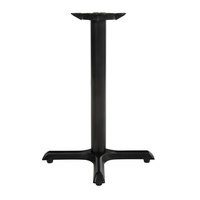 Say goodbye to customer complaints over wobbly tables with the FLAT Tech CT2017 auto adjustable table base! 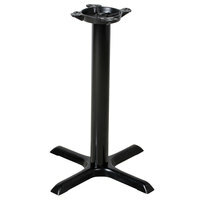 With an all cast iron construction, this base has unmatched durability and provides the professional appearance you want in your establishment. This base boasts FLAT technology that automatically adjusts to uneven floors and aligns with adjacent tables through patented hydraulic technology. 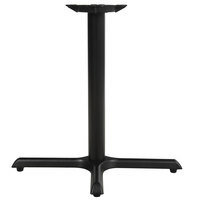 This eliminates uneven ridges when pulling multiple tables together for large parties. 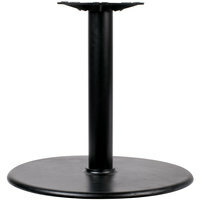 This Lancaster Table & Seating table base is an economical solution to your bar or restaurants needs. 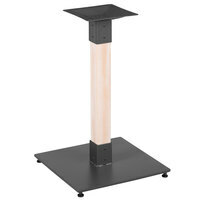 It includes everything that you need for a full base, including 2 self-leveling feet. With the standard height column, it is the ideal base for restaurants or cafeterias. Featuring all components required for a full table base, this Lancaster Table & Seating base gives you everything you need. 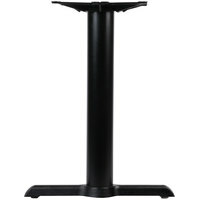 With a sleek black powder-coated finish, and cast iron base plate, this base delivers just as much style as function. Plus, it comes with 2 FLAT Tech Equalizer table levelers. 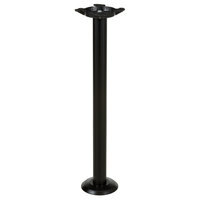 These levelers help keep tables balanced and can accommodate up to a 1/4" variance in floor levelness. 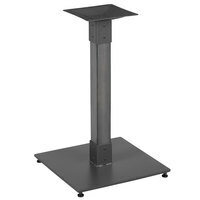 Say goodbye to customer complaints over wobbly tables with the FLAT Tech CT2030 auto adjustable table base set! With an all cast iron construction, this base has unmatched durability and provides the professional appearance you want in your establishment. This base boasts FLAT technology that automatically adjusts to uneven floors and aligns with adjacent tables through patented hydraulic technology. 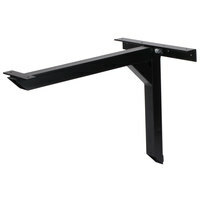 This eliminates uneven ridges when pulling multiple tables together for large parties.